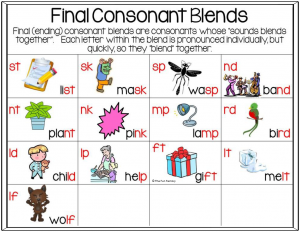 A BLEND is when each sound of two or more consonants can be heard as they are blended together. For example, /pl/ as in play. 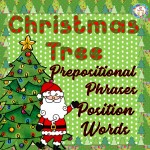 You say (and teach) /pl/ but the /p/ and /l/ can be heard as separate phonemes. Each letter within the blend is pronounced individually, but quickly, so they blend together. 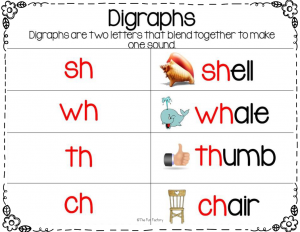 A DIGRAPH is when two consonants together make a single sound. For example, if you tell someone to be quiet by saying “shhhhhh”, you say it as one sound. You don’t say /s/ /h/. 2. What are the most common blends and what order should I teach them? 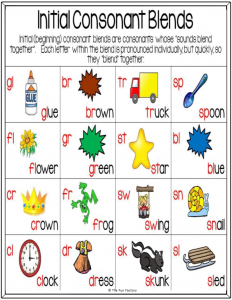 The most common beginning consonant blends include: bl, br, cl, cr, dr, fr, tr, fl, gl, gr, pl, pr, sl, sm, sp and st. There is a great deal of variance as to which blends to teach first. Even many basal reading programs disagree. 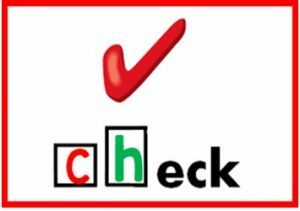 Yet, it is thought that the following is a good guideline of which to teach first: gr, pl, bl, st, br, sp, tr, cl, fl, sl, fr, sn, thr, cr, dr, sm. HOWEVER, this differs with the level of students you teach and the most important thing to remember is to teach intentionally! 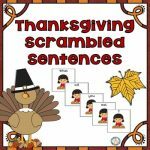 There are also ending consonant blends in words such as fast. Some blends contain three consonants (clusters) such as str,spl, spr, shr, scr, squ, str. 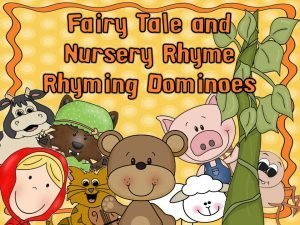 It is thought that these clusters along with nk and sk should be taught later rather than at the beginning. 3. 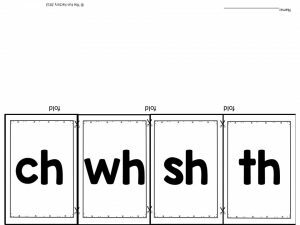 What are the most common digraphs and what order should I teach them? 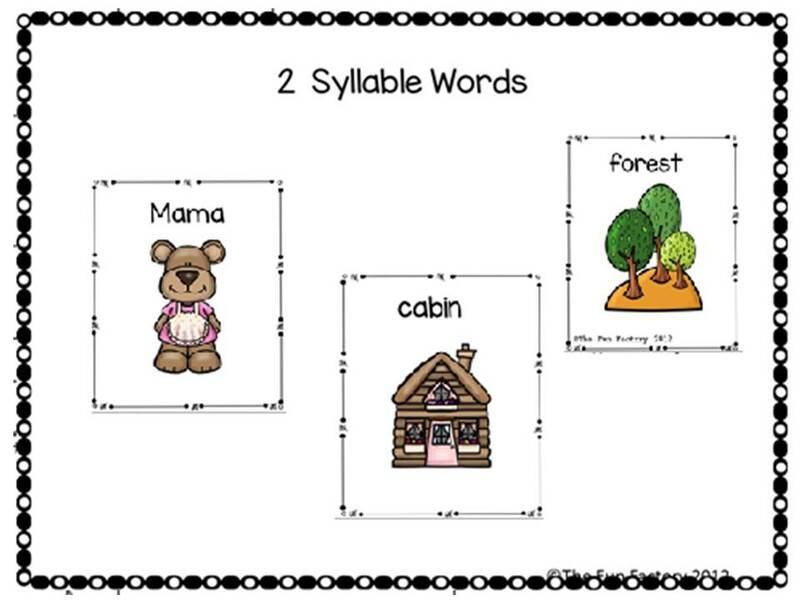 We like to call the most common consonant digraphs the “h” brothers. The most common are sh, ch, th, and wh but there also is ph. The most common to teach first are the “Big 4”! Many reading programs introduce blends before the digraphs. The main thing to remember is you need to teach whatever your district says! This goes for blends (clusters) AND digraphs. 4. What is the correct spelling and pronunciation of DIGRAPH? It is spelled d-i- g-r-a-p-h and pronounced dī- graf. There is no “a” as in d-i-a-g-r-a-p-h. It is not pronounced dī-uh-graf. 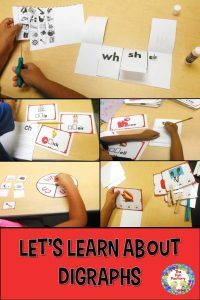 In conclusion, learning digraphs and blends are important in learning to read. Go by your district, your campus, or your reading program to guide you with when and how to introduce them. We all have our opinions but we must go by the guidelines our employers give us. 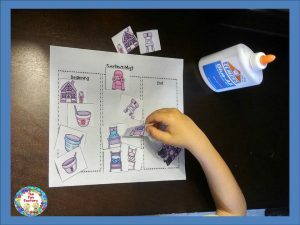 Click HERE for a FREE digraph resource with activities and worksheets aimed at 1st-2nd graders and upper Kindergarten students. 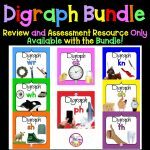 If this works well for you, there is a 329-page bundle for the digraphs ck, kn, ph, wr, sh, ch, wh, th with activities, center activities, and worksheets. 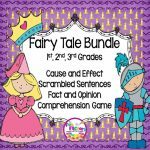 The bundle is more than 20% off with a FREE assessment pack. The assessment pack is only available as part of the bundle deal. 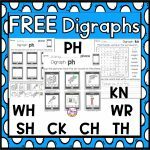 I don’t think you will need anything else for the entire year to teach digraphs. If there IS something else you need, just email me at thefunfactoryontpt@gmail.com and tell me what you need. I will try my best to accommodate your needs. Click HERE or the picture to take a look! We all need a sense of purpose and need to take time out to renew our spirit. How do you do that? So many of us experience burn-out. We need to ease stress and recharge. I came across this article by Todd Finley and thought I would share. Teachers need this! 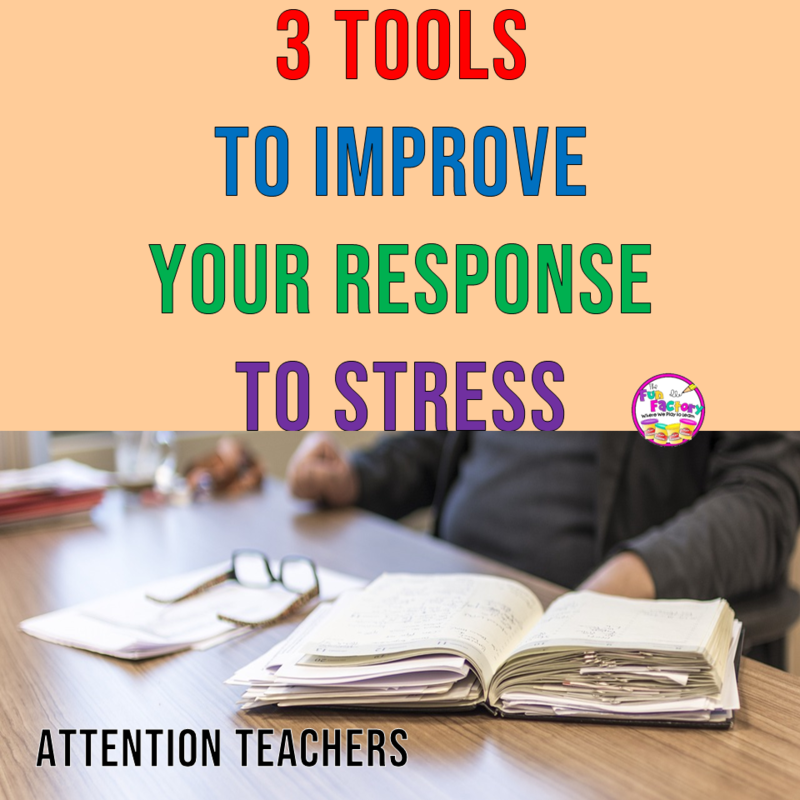 help you improve your response to stress. It’s the time of the year for us to pause and be thankful for our families, friends, jobs, health and much, much more! I am thankful for our profession and for YOU! If you need something last minute or want to stock up for next year at this price, grab this. Next, if you are ready to plan for next month, these are now $1.00. In addition, these 2 will also be 50% off! Hanukkah 2018 will begin in the evening of Sunday, December 2 and ends in the evening of Monday, December 10. Thank you for looking through this post. Here is a FREEBIE for you. 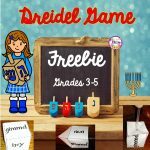 Teach your students to play a dreidel game and use it in your Math Center! Great way to practice math… OR send it home for students to play over the holidays. They will be practicing math on their vacation! A WIN-WIN for everyone, in my book. Just click on the picture, download and enjoy. (It would be nice if you would leave feedback if you like it.) Thanks in advance. Enjoy! Let’s all be thankful! Happy holidays. My number 1 reason to celebrate Veterans Day is the fact that my dad, brother, father-in-law, brother-in-law, and son-in-law are all veterans. Everyone is touched by a veteran in some way. This is a time when we should reach out and thank them. No matter what your political views are, these men and women have sacrificed something to help protect ME (us). All of them have stories to tell but most won’t share those stories. Growing up I did not understand nor appreciate what all my dad sacrificed. I didn’t understand (and still don’t) what he buried deep inside (psychologically) or the physical pain he endured but never complained about. 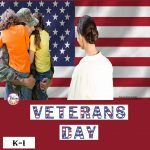 Our children need to know about Veterans Day. Let’s teach our children. Reach out and thank a veteran this week, this month, this year. 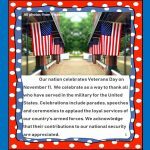 So……..to all the veterans in my life, thank-you! However, my biggest thank-you goes to my HERO, my DAD! Thank-you. I love and miss you! Do you have a special veteran in your life? Tell us about them! 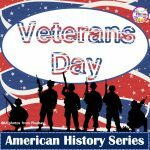 We will give one lucky person your choice of one of our American History resources! 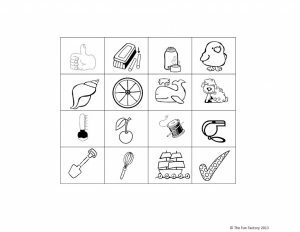 Meanwhile, click on the picture below for a simple, FREE resource for anyone teaching grades K-5. 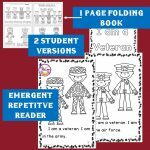 If you are looking for a simple, easy-to-understand resource to help you teach about Veterans Day for Kindergarten – first grades, take a look at this for only $3.50! 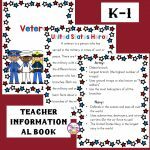 Activity/WorksheetsIf you are interested in Grades 3-5, this informational resource is excellent to teach about Veterans Day. Check it out here. Informational text with real photos! 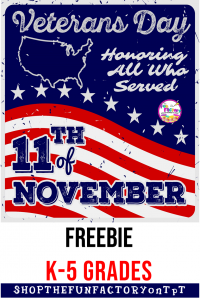 I hope you enjoy the freebie and please, please, please, thank a veteran! 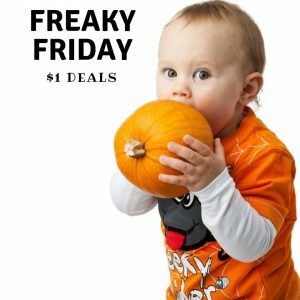 Did you score some awesome Dollar Deals the past 2 Fridays? If so, you have another chance because Friday, October 19th, we do it all again- but with 40+ new deals for you to choose from! If you missed it, here is your chance! Just to remind you what’s happening……throughout the month of October, we are bringing you 4 weeks of incredible $1 deals on over 40 products! Each Friday the participating sellers will select one product from their store (normally priced $3-$5) to mark down to just $1 for the day! How will you find these resources? Many of the sellers on Instagram are using this hashtag when showing their deal: #freakyfridaypegs but you won’t find ALL the deals that way. 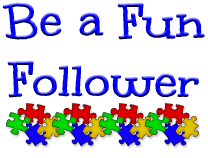 So what will you find from The Fun Factory this week? Click on any of the pictures. 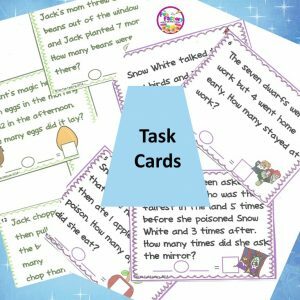 This resource has 40 task cards that can be used at centers or in small group instruction. (I have used them both ways. 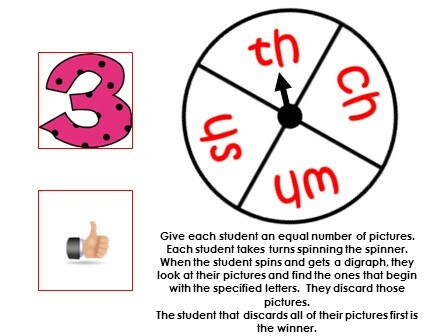 First, I used them in small groups and then placed them in my Math Center.) It really depends on the level of students you teach. Here is a preview of some of the cards. 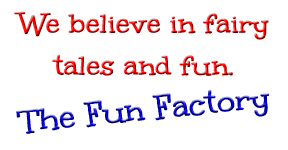 There are 10 fairy tales with 4 cards each….2 addition and 2 subtraction. The cards are color-coordinated for easy center management and clean-up. 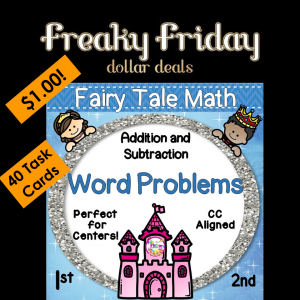 Each fairy tale has 3 addition and 3 subtraction cards. 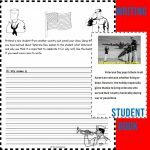 There is a recording sheet for student accountability (if you use in a center) and an answer sheet as well. This normally sells for $4.00 but October 19th it will only be $1.00. ONE DAY ONLY! Be sure to check out the totally NO PREP, First Grade Number of the Day while you are shopping! 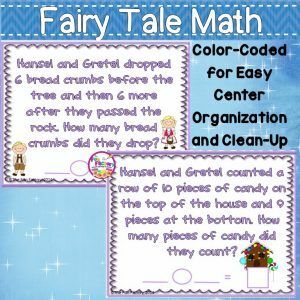 It will save you time, energy, and best of all, it is great practice for the kiddos! Ready to find all the deals? Here you go! Have FUN! Now for the 5th year, FREAKY FRIDAY is in full swing! If you missed it last week, you want to be sure to check it out the next 3 weeks! 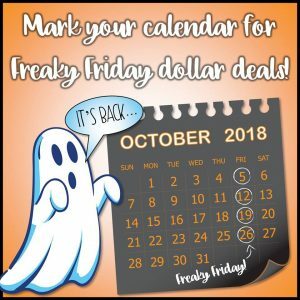 Each October, The Fun Factory joins a group of sellers to offer $1 Deals each Friday in the month and this year is no exception! Each Friday in October, there are incredible $1 deals on over 40 products each week! Each Friday the participating sellers will select one resource from their store (normally priced $3-$5) to mark down to just $1 for the day! 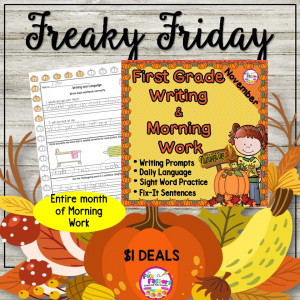 The Fun Factory’s resource for this week is Daily Writing and Morning Work for First Grade. 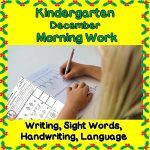 This NO PREP, First Grade Morning Work/Daily Writing resource has been very popular. All you have to do is print. NO PREP time for you! 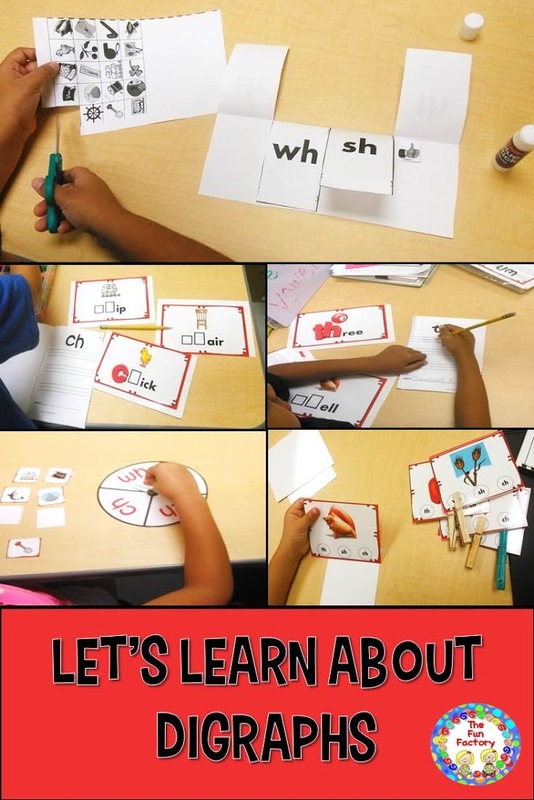 There are so many ways to practice the skills first graders are learning! 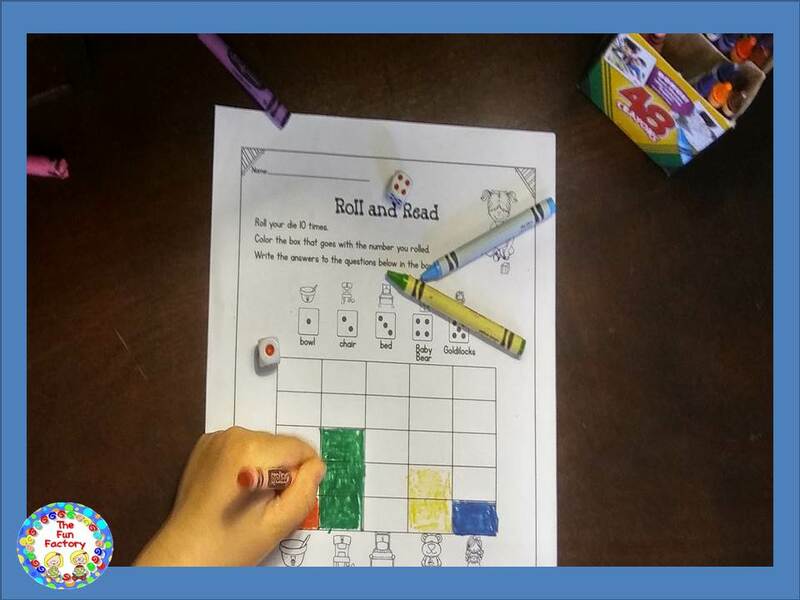 The skills build as each month progresses and they cover many Common Core (and TEKS) objectives! Some days are easy and some days are a little more of a challenge. 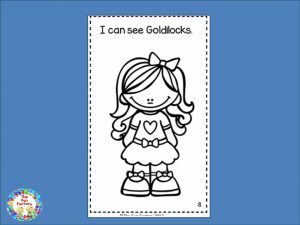 I developed this resource to help me with my intervention classes. 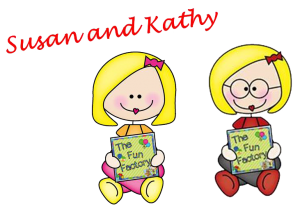 They can be used for your morning work, small group instruction, intervention, assessment, homework or center work. 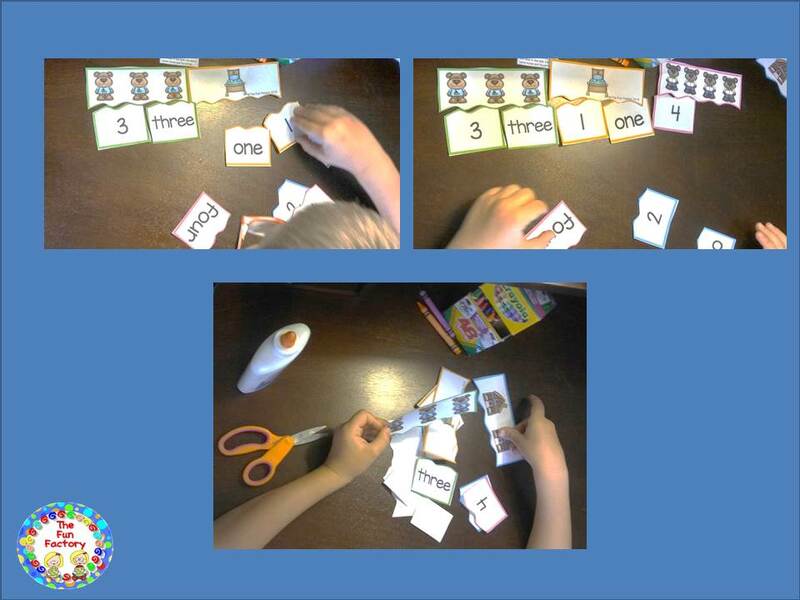 Daily Oral Language, “Fix-It” Sentences, Writing and Language Skills, Sight Word Practice (High-Frequency Words) are all a part of this resource. 2. 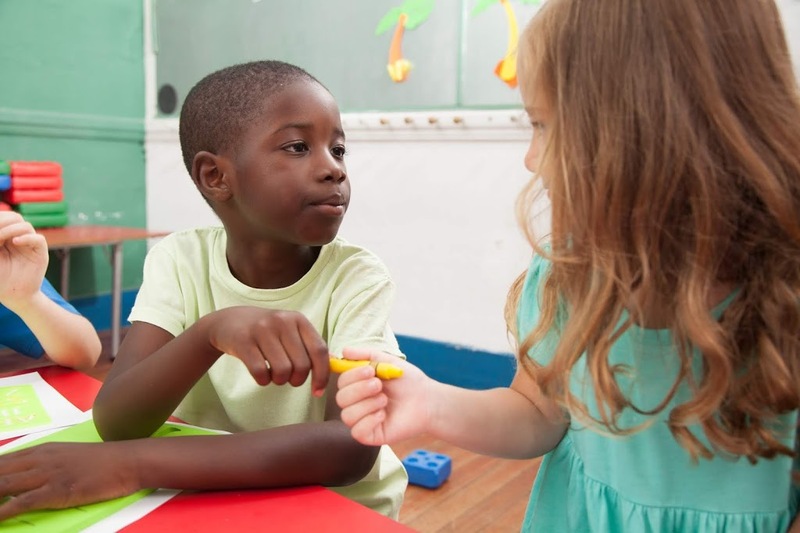 Sanity: Community supplies keep students from arguing. No more, “That’s MY pencil!” “She took MY crayon!” “That’s MINE give it back!” “Ms. Paul he’s using MY scissors!” Etc. etc. etc. The supplies are OURS. 3. Money: Community supplies save money. It will save you, the teacher, from having to go out and buy more supplies and it will save parents from having to replace lost pencils, crayons, scissors, paper, and dried up glue. 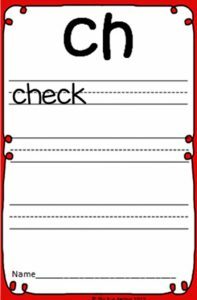 At one point in my career, I had a standard form that I would send home at the end of the week for each child who needed more supplies. I had parents write their child’s name on every single pencil and marker. There had to be a better way, right? 4. Time: Lost time is time lost learning. 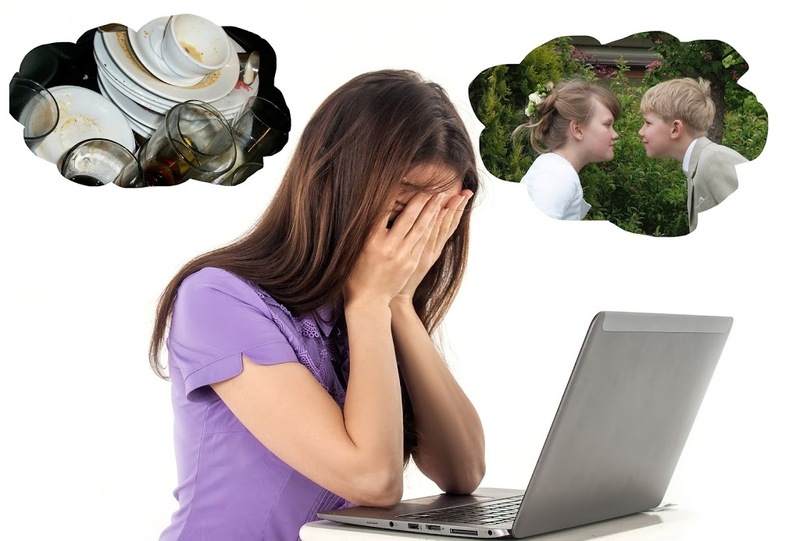 If everything is right at their fingertips, students don’t waste time digging in their desks, crawling around on the floor looking for lost items, or accusing their neighbor of stealing. In conclusion: Use community supplies! You will never want to go back to kids digging in their desks for their pencil boxes. 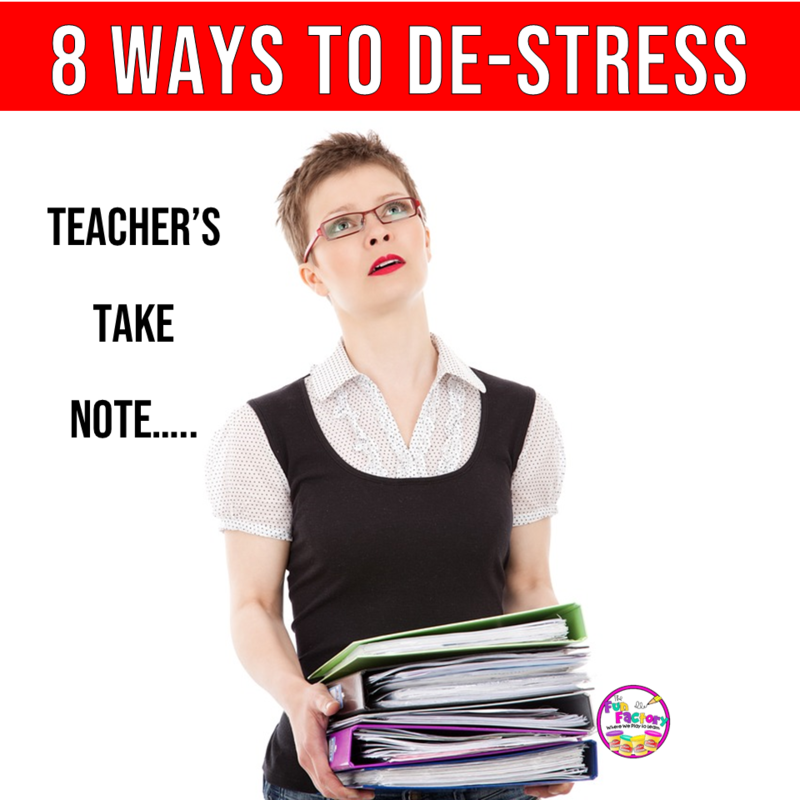 You will have less stress, I promise! Anywhere we can cut out a bit of stress, we should. Right? Next: How to manage community supplies, what to say to parents, and ways to teach students how to share. Feel free to leave comments or questions below. I will address any questions in my next post. 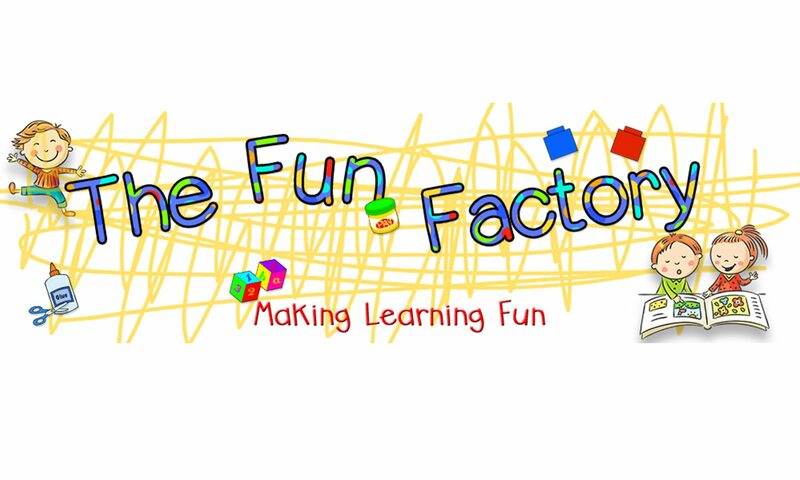 You can always email me at thefunfactoryontpt@gmail.com. 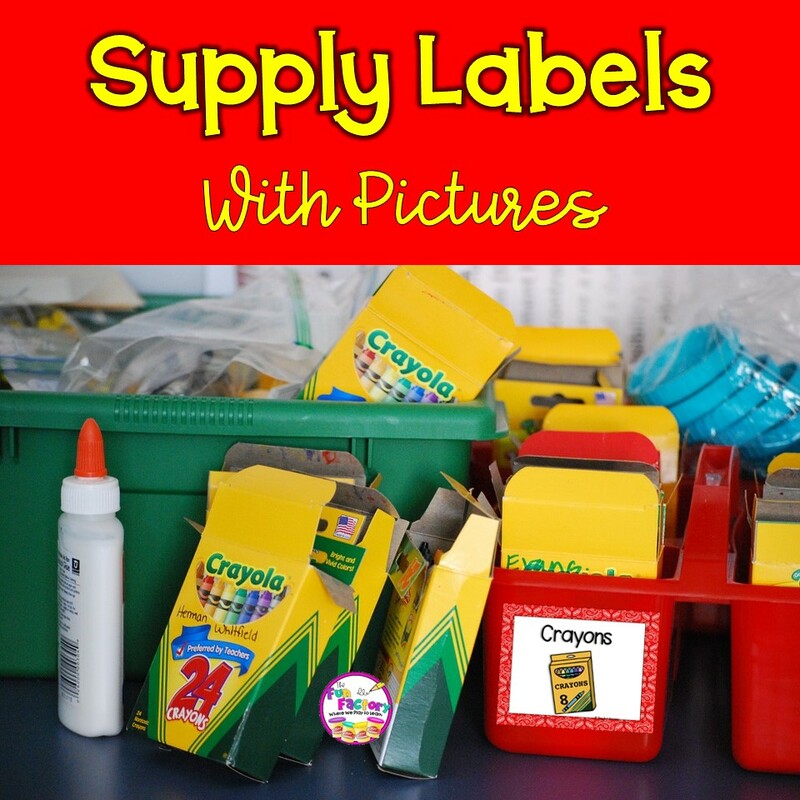 If you need labels for your supplies, click the picture to check these out. 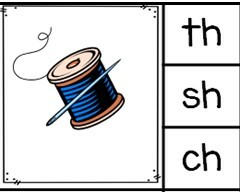 We have been learning about digraphs. Of course we started with the big four – sh, th, wh, and ch. 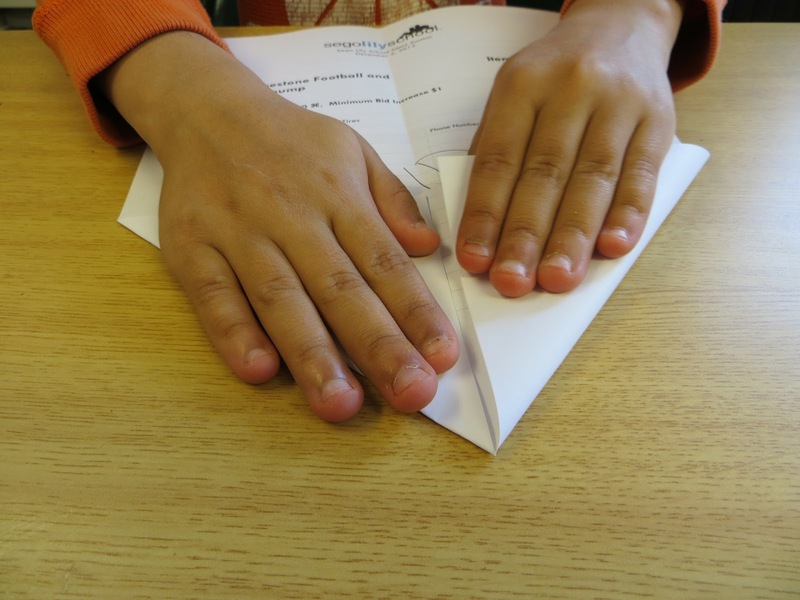 Having games and hands-on manipulatives have made this so much more fun. 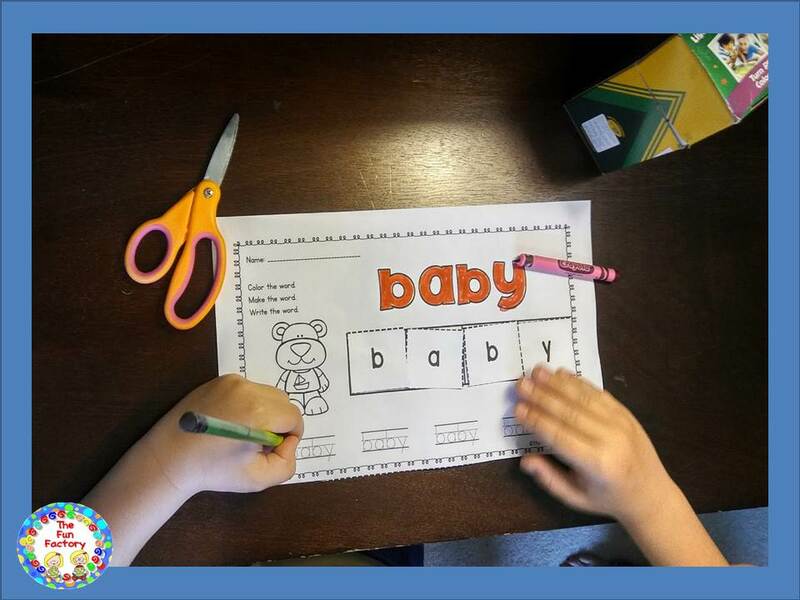 After we have taught the lessons in small group, we put these activities in our literacy centers. The top picture shows a flip book where the children cut out digraph pictures and paste the under the correct flaps. The next two pictures show the students building words with magnetic letters and recording them. 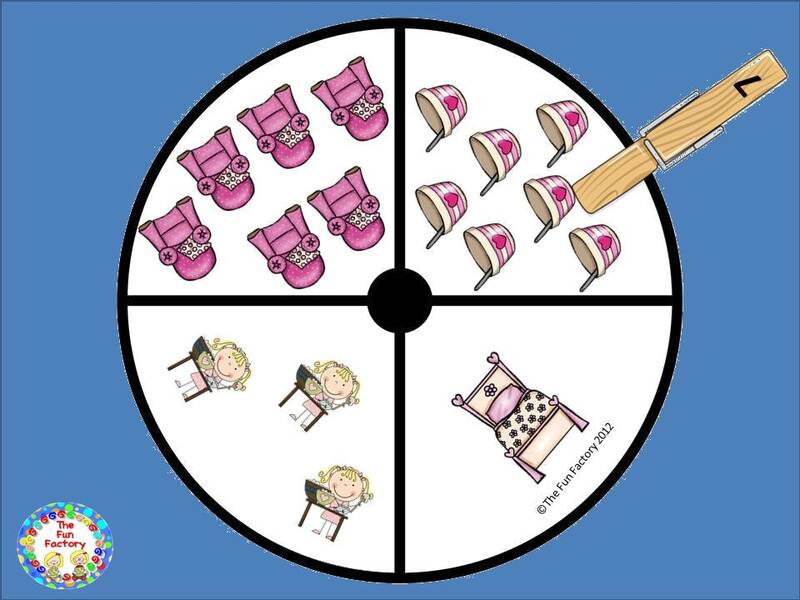 One of the activities our kids really liked was Spin a Digraph, shown in the next picture. The last activity pictured is my favorite! The ever popular clip-it cards. 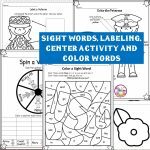 There are several more center and worksheet activities included in this unit! 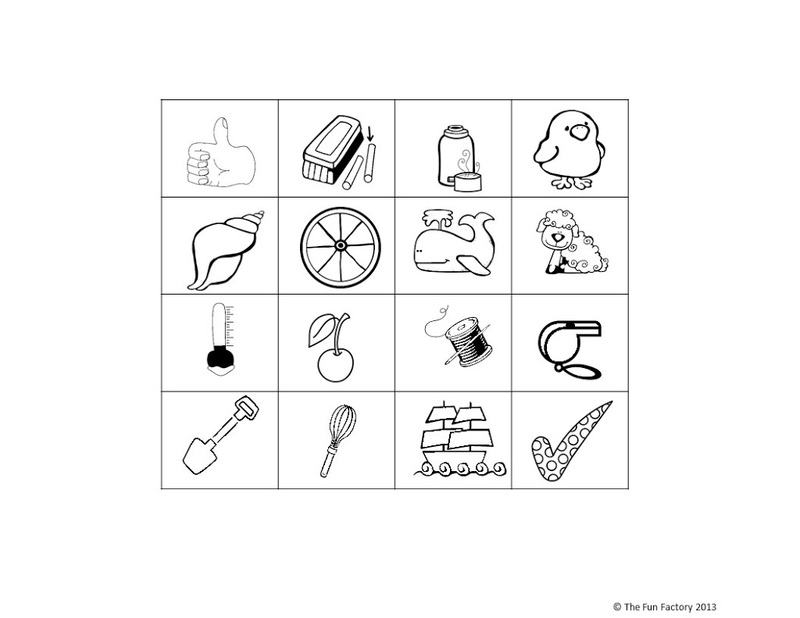 Click the picture below to get your freebie! 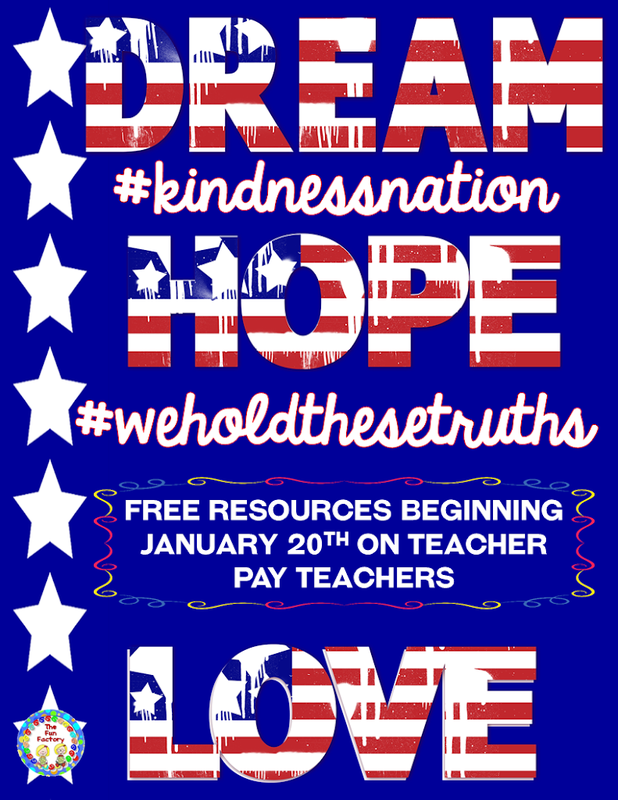 On this Inauguration Day we are joining with many other TpT authors to provide FREE resources to help reinforce values that are so important during this transition time in our history. This will not be a one day event. 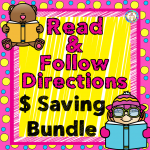 These resources will be “Forever Freebies” which means you will have plenty of time to find and download them! 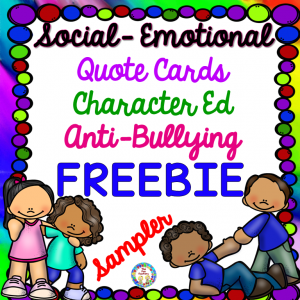 Our “Forever Freebie” is a sampler of our Character Education/Social Emotional/Anti-Bullying resource. 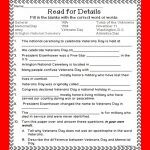 Click on the picture below to download. 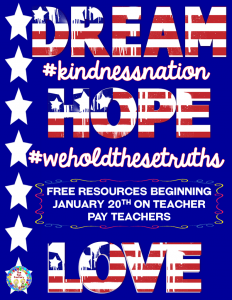 Starting on January 20th you may find some of the following on TpT by searching #kindnessnation or #weholdthesetruths on TPT. 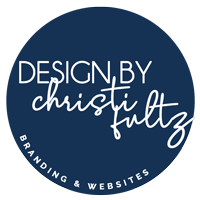 – Let’s work together to help build kindness, empathy and compassion! 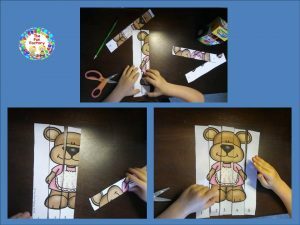 Goldilocks and the Three Bears Literacy and Math, Oh MY! 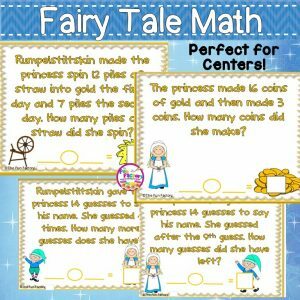 Do you use fairy tales to teach (review) math and literacy skills in your classroom too? 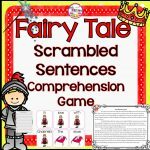 Fairy tales are so easy to incorporate into our lessons because most kids already know the characters and the plot. 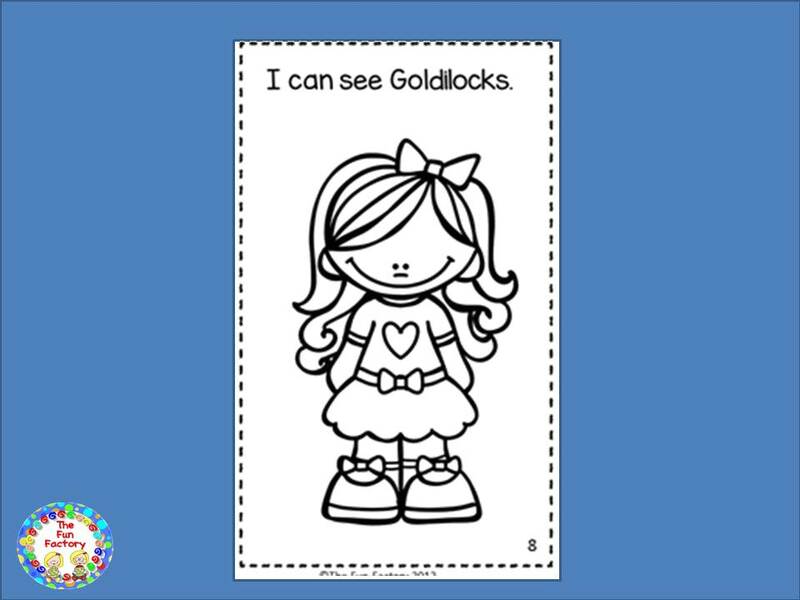 Here is a preview of our Goldilocks and the Three Bears unit. What happened at the beginning, middle and end? 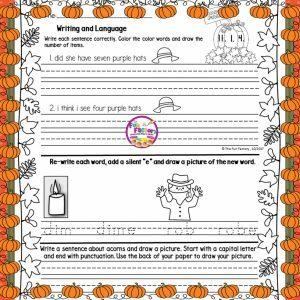 Color, build and write a vocabulary word. 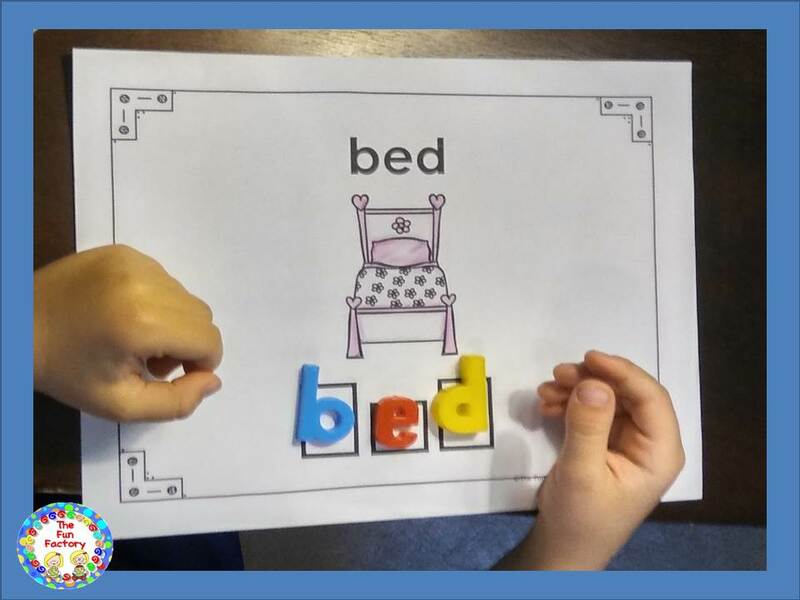 Build a vocabulary word with magnetic letters. 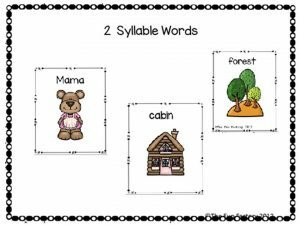 Finding 1, 2 and 3 syllable words. 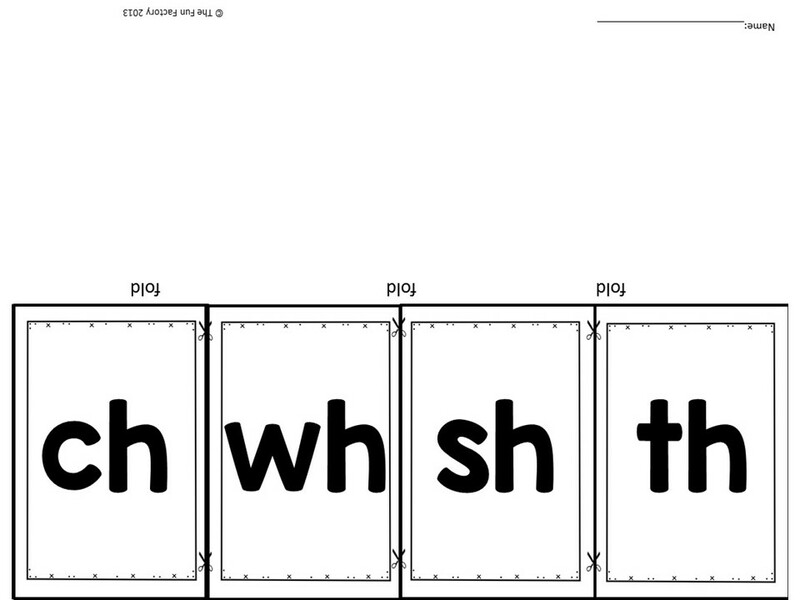 A student sight word reader. You can see our unit by clicking on the picture below.